For everything I could find at home & a minuscule investment in gaming hardware, I had an awesome time this mid-sem break. I have spoken very little about my gaming hobby particularly because, with work commitments, I have very little time to play games. I tend to refrain because I can get very obsessed. Anyways, the chastity belt binding my hands are now off because IT'S HOLIDAY TIME! I hooked up my laptop via HDMI to a 32" HDTV hooked up to a 5.1 Home Theatre. I dragged a lazy chair from a dark corner of my house & stole a cushion from a chair somewhere. I stocked up on gamer food to keep me gaming & I bought myself a Xbox 360 Controller. 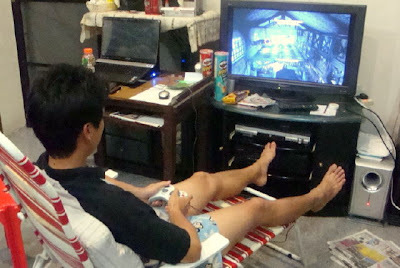 Just me in my boxers, banging away on a controller & staring intensely at the screen. I played Batman: Arkham Asylum & Mafia 2 with my low-budget system & I had an unbelievably new gaming experience! The games were really beautiful on the large screen. Occasionally, some of my family members would stop by to watch me play. My grandma even confused the game for a movie. 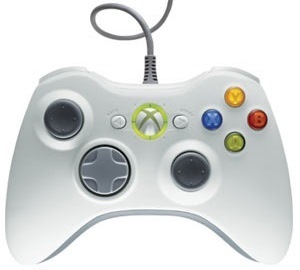 PC games are usually played with a keyboard & mouse but I decided to play mine with the comfortable Xbox 360 Controller (which is now compatible with most Windows systems) instead. I've always loved the feel of this controller. It's got fat at the right places. Kinda like women (not men & their beer bellies! Ugh!). Character movements & fights were perfect with the controller. However, when it came to shooting, I had a really hard time because the targeting arrow moved too slowly & it was hard to target moving enemies. So if I were to play Shooter or Strategy games, I'd go with the traditional keyboard & mouse. If I were playing Adventure, Sports or Racing games, I'd go with the controller. You should definitely get one if you call yourself a gamer. I never did understand the power of my laptop until I saw what it was capable of on a HDTV. WOW! I cranked up the graphics to full & still had smooth gaming! It's a first for me. 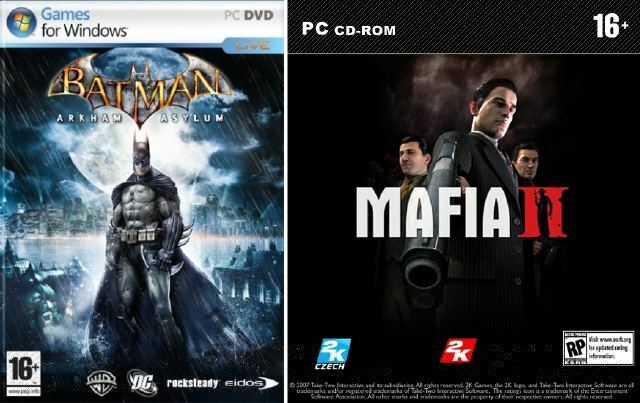 If you're a gamer, get a PC. 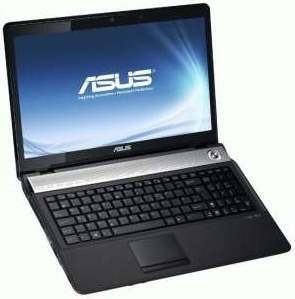 If you move around a lot (like me) & you don't have deep pockets, this is the laptop to get. There may not be any left because I was told that there were only 7 in Malaysia. Selamat Hari Raya to All my Muslim buddies!